Frank Welsh started shucking oysters when he was 13 years old. "My father taught me and my two brothers. He taught me to shuck a 'pretty' oyster," said Welsh, who has taught his son and grandson the craft. 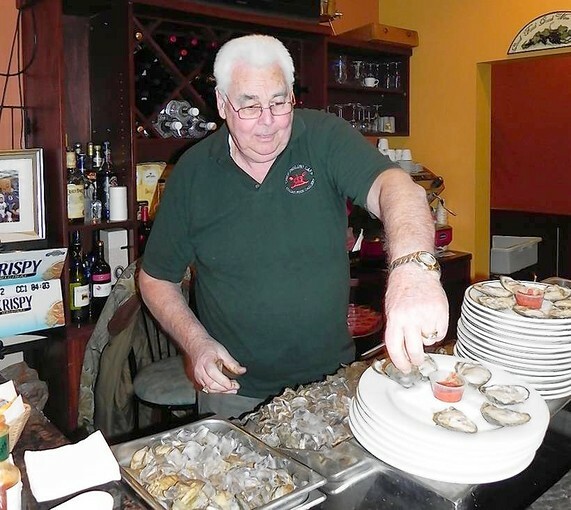 The 68-year-old Welsh shucks oysters and clams every Wednesday night at Chef Paolino's, 726 Frederick Road, for dozens of regulars and first timers. He also shucks at events at La Fontaine Bleu in Glen Burnie and at private parties. He said he makes the weekly drive in from Sussex County Delaware, for his "best friend," Paul Delfico, the owner of the Catonsville restaurant. "Shucking oysters is an art," he said. "I make it look like a picture, with no shells and no holes." The Wednesday evening raw bar features plump, cold, oysters and clams from the Tangier Sound served with cocktail sauce, lemon or hot sauce. Regulars come from all over the metro area, including Dundalk, Pikesville and Highlandtown. 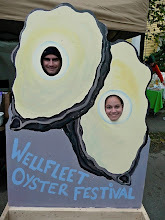 Welsh recalls one customer who so enjoyed the offerings that he ate 11 dozen oysters in one sitting. Shucking is definitely an art form, almost like sushi. Glad to hear it's being respected as such. Cheers!